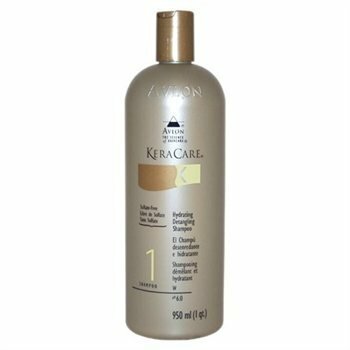 We are happy to stock the fantastic Keracare Hydrating Detangling Shampoo 950ml. With so many on offer these days, it is good to have a name you can trust. The Keracare Hydrating Detangling Shampoo 950ml is certainly that and will be a perfect buy. For this reduced price, the Keracare Hydrating Detangling Shampoo 950ml is widely recommended and is a regular choice amongst lots of people. KeraCare have added some excellent touches and this means good value for money. Keracare Hydrating Detangling Shampoo: Produces a rich lather to eliminate excess oils from hair and scalp without removing. INSTRUCTIONS: Wet hair completely. Apply hair shampoo and gently massage into a soap.